Sosai Masutatsu Oyama, founder of kyokushin karate, devoted his whole life to its establishment. 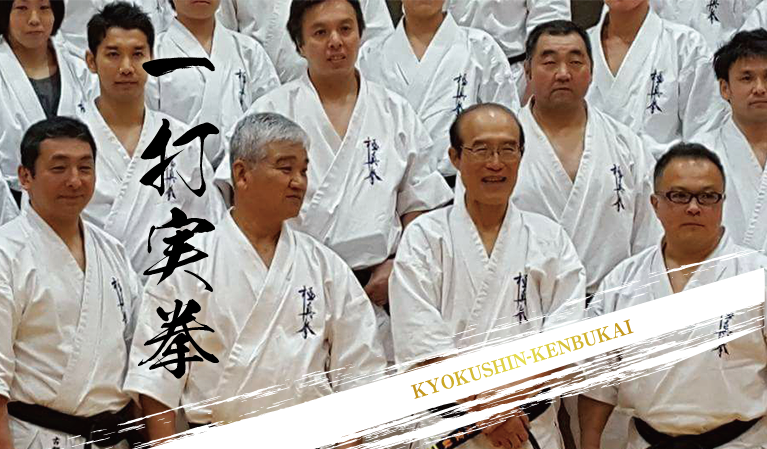 Kyokushin Kenbukai faithfully follows the "budo karate" brought up by sosai, striving hard to raise strong and healthy youth and children through training, as well as to further contribute to society. Kyokushin Karate Union Kyokushin Kenbukai began operation on February 5th 2017, its pilars being the pursuit of karate as a martial art and healthy upbringing of children and youth. The basis of its foundation is chairman Tsuyoshi Hiroshige's long experience as an apprentice of Mas Oyama throughout many years, and the training methodology developed from his own training style, which gave birth to several world champions and champions of All Japan Open and weight category tournaments. Copyright(C) Kyokushin Budo Karate Organization Kyokushin Kenbukai All Rights Reserved.